Inkspirational Designs: Yeek! It's only Father's Day! 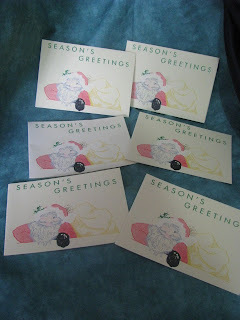 You can't ask me for Christmas Cards already! Yeek! It's only Father's Day! You can't ask me for Christmas Cards already! I had a lovely weekend with Australia celebrating Father's Day. After church our 3 younger kids that live close enough to come by as well as our 'Clayton son, Matt and my Mother in Law, all gathered for lunch at one daughter's new house to celebrate that my kids have a fantastic father. Thank you to our Father in heaven who loves us so much more than we deserve. He gave us a most loving and caring earthly father. I also recall with gratitude my own father who passed away quite a few years ago. Even though he was not my birth father, he loved us all and even 'forgot' that I was not his very own. My goodness i couldn't believe it. 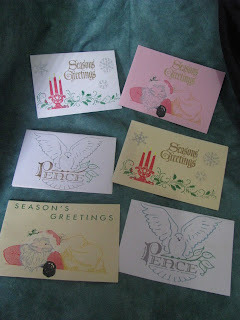 I received a request last week for Christmas Cards already! Gosh I haven't really thought about it much as yet other than that I will be away visiting my soon to be born grand daughter and helping her family for about 3-4 weeks in early October and have ear marked that time to make a real start on Christmas cards and boxes. I have a few from the Christmas in July promotion but I have not started making Christmas Cards as yet! So while getting a pack together for my friend, I packed up some some simple ones left over from last year. 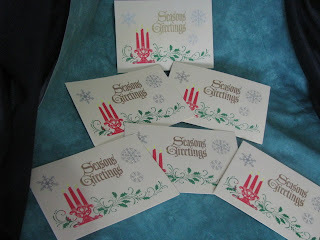 I am bundling them together in small packs of 6 as shown and trying to shift them early to make way for more to come. So come grab a bargain. 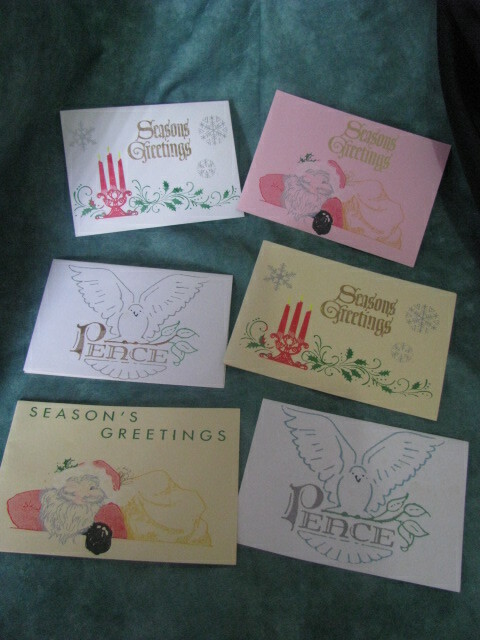 My first lot of Christmas card packs...just $10 for each pack of 6. 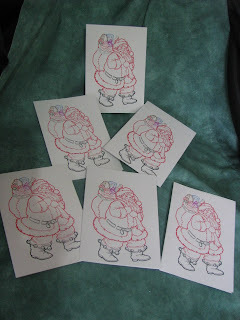 You can buy them in my Zibbet Shop.